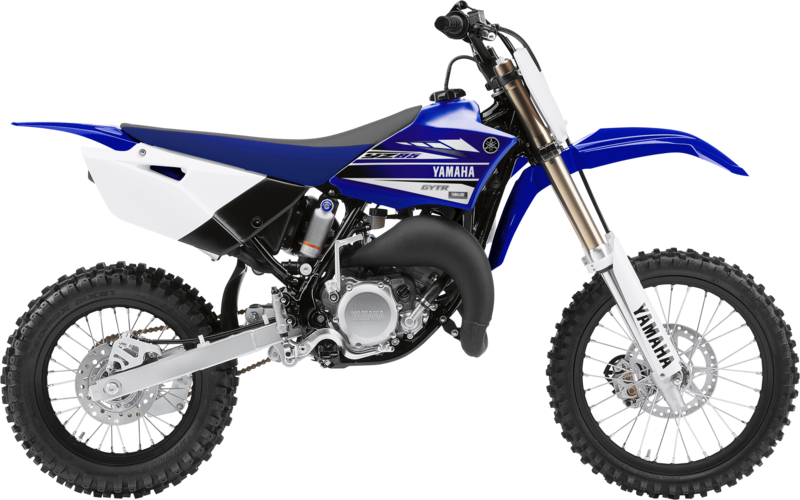 For 2019, the YZ85's compact, lightweight 85 cc two-stroke engine features revisions to the intake, exhaust and transmission. The addition of YPVS creates broad, tractable power across the rev range without losing peak power at high rpm. A new front fork, new swingarm, new wave-style brake rotors and adjustable ergonomics complement the YZ85's semi-double-cradle, single-backbone steel frame and fully adjustable suspension.